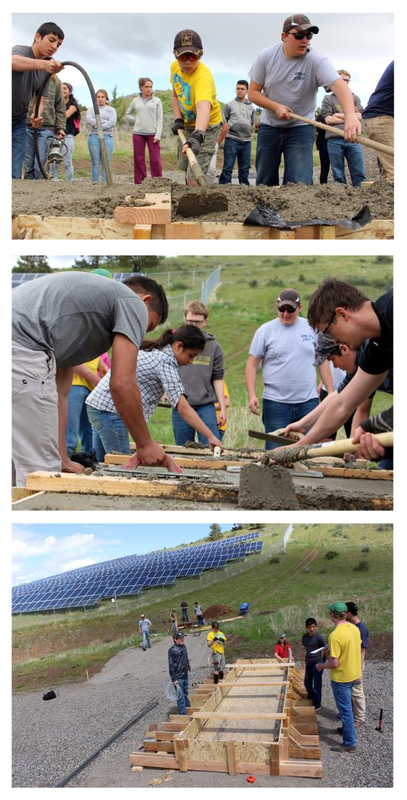 NITC, through the Oregon Tech ITE Student Chapter, partnered with the ASCE/AGC Student Chapters to work with middle/high school students from the Klamath Basin in the design and construction of a pedestrian trail bridge near the Oregon Tech campus. See below for full story by Samantha Tipler, Klamath County School District. We drive on infrastructure from the last century, never knowing when its shaking in the wind might herald a collapse, while in our hands are devices that can communicate with satellites, capture high-definition video and sense the motion of a fly. To C.J. Riley, it seemed like the one should be able to help with the other. Riley, an associate professor of civil engineering at the Oregon Institute of Technology, is working on NITC research aimed at using low-cost, ubiquitous technology—like third-generation iPods—to evaluate the soundness of bridges and other transportation structures. The goal of his just-published NITC education project, Dynamic Evaluation of Transportation Structures with iPod-Based Data Acquisition, was to expand Oregon Tech’s research lab while simultaneously figuring out two things: how can widely available technology be leveraged to assess structural integrity, and what is the best way to teach students this process?